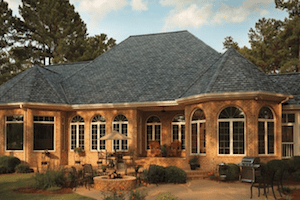 Searching for a reputable Atlanta roofing company? Check into Hopewell Roofing & Restoration. Since 2009, we’ve been here for home and business owners in the metro area needing roof replacement and repairs. What does it mean to work with a professional? Our founder, Andy Morrison, spent years working as a building supervisor and roofing salesperson before striking out on his own. The experience gleaned from those roles paved the road to success for our business, and it started with professional credentials. For a worry free roof installed properly choose Hopewell Roofing. Due to a steep slope on our roof I was concerned but the installers made it look very easy. From Sales to Installation and follow up visit the men at Hopewell Roofing exemplify honesty and integrity. I'd use them again and highly recommend them. Once you discover roof problems, you will be eager for work to begin to avoid further damage. Who you choose for the job has a bigger impact than starting work immediately. A professional won’t leave you waiting for weeks on end. A pro will also have the appropriate tools and training to complete the work to your satisfaction. Most importantly, licensing and insurance protect homeowners from potential liabilities. Where can I get the best shingles for my roof? Manufacturers like GAF create a product higher in quality than what you’ll pick up at the local hardware store. Hopewell Roofing & Restoration is likely to have products consumers can’t access on their own. We also know what materials will work best for your home. The shape and size of your roof is only half of the equation. The risks particular to your property have a big impact on the type of shingles you need to keep moisture and pests at bay and to keep your energy usage under control. Hopewell Roofing is among the two percent of roofing contractors that have achieved GAF Master Elite Roofing Contractor certification. The distinction relies on proof of reliable, dependable service. Ask us for more details, and learn how GAF shingles can make all the difference for your home. When should I call an Atlanta gutter replacement and repair service? The gutter system on your home should last for years. Improper installation, storm damage, maintenance issues and poor-quality materials all impact how long your gutters will protect your home. These setups don’t just collect water from your roof. They protect your home’s foundation by funneling it away from the area near the foundation. If your gutters are leaking, cracked or hanging by a thread, it’s time to call in Hopewell Roofing & Restoration. We have top-quality materials capable of preventing water damage. We also carry a special line of gutter guards which help reduce maintenance without causing clogs. 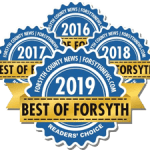 Who performs drone roof inspections in the Atlanta area? One of our latest and most popular services is high-tech, in-depth roof inspection performed by drone. You can safely check for storm damage and normal wear-and-tear during a yearly inspection. Observe what our camera sees in real-time and schedule repairs as soon as they’re needed. Get in touch with an Atlanta roofing company with a stellar reputation for customer satisfaction. Contact our expert team at Hopewell Roofing & Restoration to schedule roof work today.